Former Deputy Director of the FBI Andrew McCabe was fired from the bureau last month for committing three violations of the bureau’s ethics code, an investigative source told Fox News on Thursday. The violations initially were uncovered by the Justice Department’s Office of the Inspector General and confirmed by the FBI’s Office of Professional Responsibility. They included lack of candor under oath, lack of candor when not under oath, and the improper disclosure of non-public information to the media about the FBI investigation into the Clinton Foundation. The violations stemmed from McCabe’s response to an October 2016 Wall Street Journal report about sizeable campaign donations from Democrats to McCabe’s wife, Jill, during her campaign for the Virginia State Senate. The investigation found that McCabe instructed FBI lawyer Lisa Page and FBI public affairs chief Michael Kortan to work with the Journal’s reporter to set the record straight. The source said Page’s statements to investigators were “critical” because they directly contradicted her boss, McCabe. According to the source, McCabe’s lack of candor about the contact with the Journal reporter led to his firing. The source added that Page’s testimony about the matter contradicted McCabe’s. Then-FBI Director James Comey claimed he never authorized the leak to the Journal. An internal FBI report about former FBI Deputy Director Andrew McCabe’s firing includes a testimony from his former boss James Comey that shows a “discrepancy” with McCabe’s public statements over his contact with the Wall Street Journal, according to a report by CNN. According to CNN, Comey held a briefing on October 31st, 2016 and stressed to the bureau how damaging the leaks are to an ongoing investigation. According to the report, Comey recalls McCabe denied authorizing any FBI officials to speak to the Wall Street Journal. It appears either McCabe or Comey are lying and given their track record of being dirty cops, it’s difficult to determine who isn’t being truthful in this recent report. 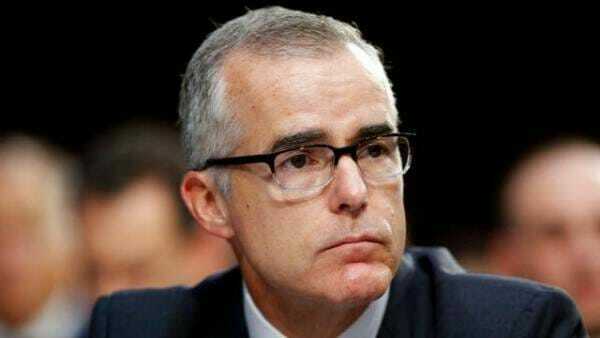 The post New Information About Andrew McCabe’s Firing Surfaces appeared first on The Gateway Pundit.